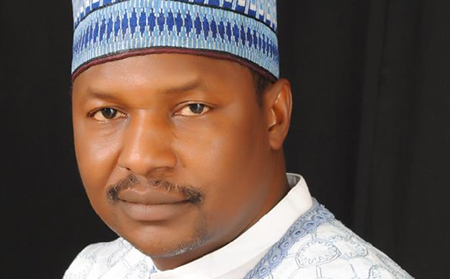 The Senate has summoned the Attorney General of the Federation (AGF) and Minister of Justice, Abubakar Malami to appear before lawmakers and explain the constitutional basis for the controversial Executive Order No. 6. The lawmakers stated this on Wednesday during plenary. They are also asking the AGF to explain the other Executive Orders issued by President Muhammadu Buhari in clear usurpation of the law-making functions of the National Assembly. The President on July 5, 2018, signed the Executive Order which will prevent any government official from engaging in corrupt practices such as misappropriation of State assets for personal gain, receive any form of bribe or engages in Corrupt Practices related to the performance of his/her duties. The signing of the Executive Order has raised concerns as today lawmakers in the House of Representatives were debating a motion seeking the suspension of President Muhammadu Buhari’s Executive Order 6. The lawmakers called for an investigation into the constitutional compliance of all subsidiary legislation and executive orders by the executive arm of government. For, the President, the signing of the Executive Order 6, is to clamp down on assets said to have been corruptly acquired by top government officials either directly or through their fronts over the years.